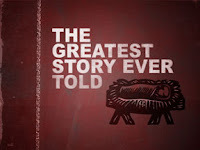 mini ministry: believe because you know Him :: sharing the Way, Truth and Life in Jesus Christ: Christmas letter '09: why a Baby? Christmas letter '09: why a Baby? "In those days a decree went out from Caesar Augustus that all the world should be registered. ... And Joseph also went up from Galilee, from the town of Nazareth, to Judea, to the city of David, which is called Bethlehem, because he was of the house and lineage of David, to be registered with Mary, his betrothed, who was with child. And while they were there, the time came for her to give birth. And she gave birth to her firstborn son and wrapped him in swaddling cloths and laid him in a manger, because there was no place for them in the inn. This year began with a lot of death. An inordinate amount in my experience. I was at four funerals in the first 2 weeks of 2009. I even sang at two, one of them for a friend. It had me thinking a lot about my own mortality. But, in a turn of what I like to call "divine irony," the year is ending with a lot of new life. I know several people who are with child. I've been an aunt since I got married, but am now one to a blood relative for the first time thanks to my brother and his wife who are expecting next year. I admit, I love the Lord's timing in all this since this time of year brings to mind an unusual and remarkable birth, that of the Lord Jesus Christ. Honestly, it's hard for me to think of Jesus as a baby. To me, babies are small and frail and make me more than a little nervous (though some tell me they're a lot tougher than I think). But I envision Jesus as an adult—strong, mighty, glorious. Someone more wonderful than anything we can imagine. And even with years of Nativity scenes in my head, it's still hard for me to really wrap my brain around that image. The fullness of God as a human baby? And then I, in my boundless curiosity, have to ask, "Why?" So a man made an error that a Man had to repair. Intriguing. because we owed a debt we couldn't pay." So that's true of every person born. All, that is, except one. This baby Jesus, fully God and fully human, was the only baby born without sin. He was born to live a sinless life none of the rest of us who were born ever could. And He was born to die, to pay that debt for sinners like us. All the death I experienced at the start of the year, that's what each of us earns for our sin. But, for those who turn from their sin and believe in Jesus as Lord, He gives eternal life through His own death. We don't earn it. We don't deserve it. But He gives it as a free gift to all who believe. And the greatest miracle was delivered in the smallest package. Praise God. To pay a debt we cannot pay. That's why Jesus was born. Sarah, I loved how you put in words what we are experiencing in this the Lord's season of reflecting and celebrating what He has done for us! 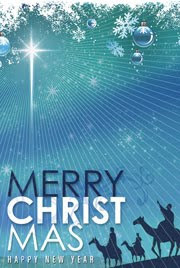 Have a very blessed Christ centered Christmas!